Can't afford $5K for the original? This "vintage original spec" reissue rocks. This is the 1st year of the CUSTOM SHOP Historic Series issue, no longer made. 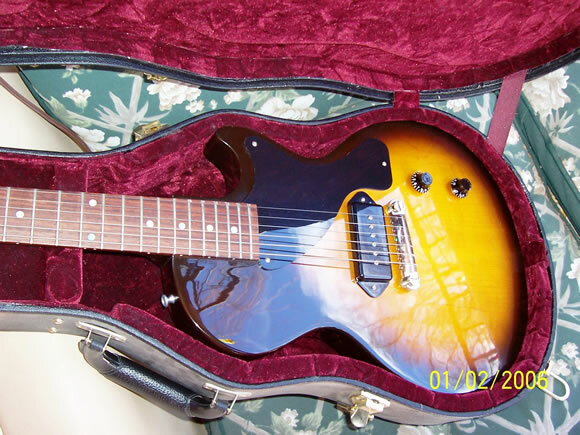 OHSC (black historic case); vintage sunburst (tobacco); great neck with wide frets; NM condition (a little play wear); Weight: 7 pounds 4 ounces; Mahogany body and neck; hardware: Nickel w/ wraparound tailpiece; 22 frets; One black 'dog-eared' P-90 single coil pickup; Bumble Bee and CTS caps/pots. Listed $3075. THIS IS PRICED $500 BELOW THE NEW VOS MODEL, and is actually more rare and desirable.